RAD Girl Revolution + Giveaway - Little Girls, BIG Dreams! If you can dream it, you can be it. That's the message behind the awesome new children's book, RAD Girl Revolution, now on Kickstarter! Rad Girl Revolution will be a hardcover (10x8") children's book for kids ages 3-7 that empowers young girls and encourages gender equal mindsets in young boys. There are many empowering children's books that are suited for girls 7 and up, but RAD Girl Revolution will appeal to a younger audience. Gender stereotypes are set in children as early as age 6, so it is crucial to expose them to empowering books and reach them during the critical developmental ages of 3-7 years old. We at GIRLS CAN! CRATE are so excited to partner with RAD Girl Revolution and the fantastic Princess Awesome to bring you a giveaway that honors little girls' BIG dreams! The Princess Awesome "Fleur-de-Liftoff" Rockets Twirly Play Dress features hot pink rockets, curly contrails, and other dainty details on a dress that is both SUPER fun and wonderfully practical with hidden pockets for storing space treasures! Isn't is seriously awesome?! Our GIRLS CAN! CRATE Mae Jemison crate, The Audacious Astronaut, features a 20-page GIRLS CAN! Activity Book telling Mae's story and everything you need to create your own solar system, build your own science blasting-off rockets, and experience fun ways to explore gravity & get thinking! Combine the Princess Awesome rockets dress, our GIRLS CAN! CRATE astronaut crate, and RAD Girl Revolution, and you have one totally awesome, empowering, Out-of-This-World experience! Enter below to WIN them all! Out of This World Giveaway! Valentine's Day is right around the corner and we have a gift for you! At GIRLS CAN! CRATE, we're wild about fun Valentine cards that celebrate friendship and fearless women (and we would never say no to a good pun). If you're like us, look no further. We've created the perfect cards and they're our FREE gift to you! 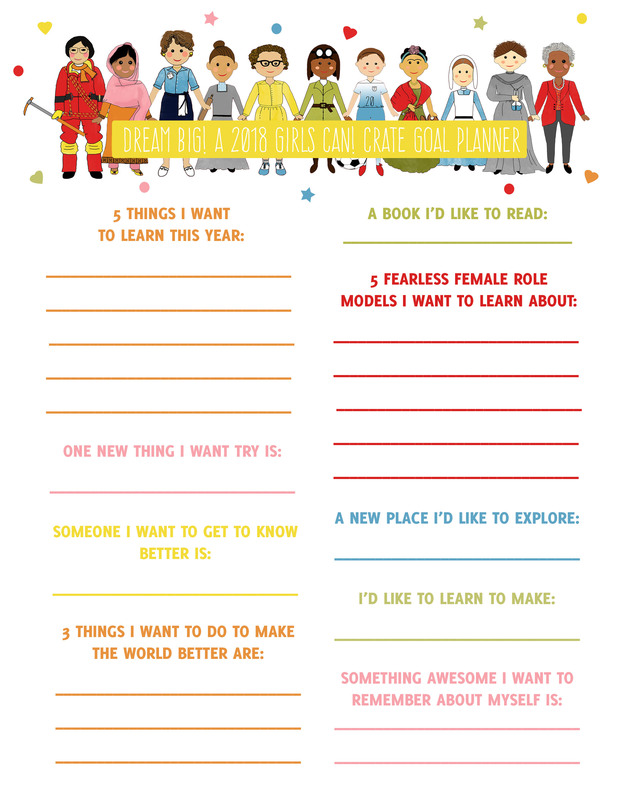 Download our printable GIRLS CAN! Valentine's by clicking the red button below. 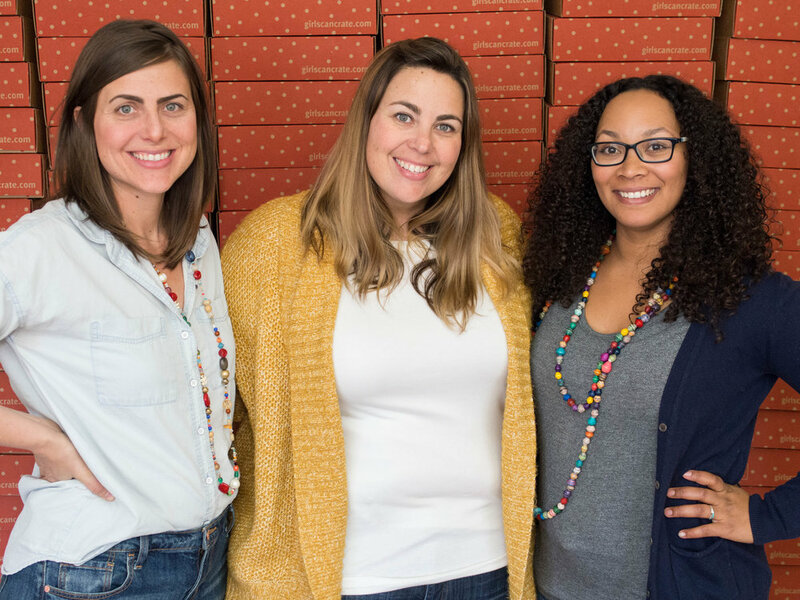 One more thing - did you know Smarties Candy Company is now run by 3 women, the granddaughters of the original owners? 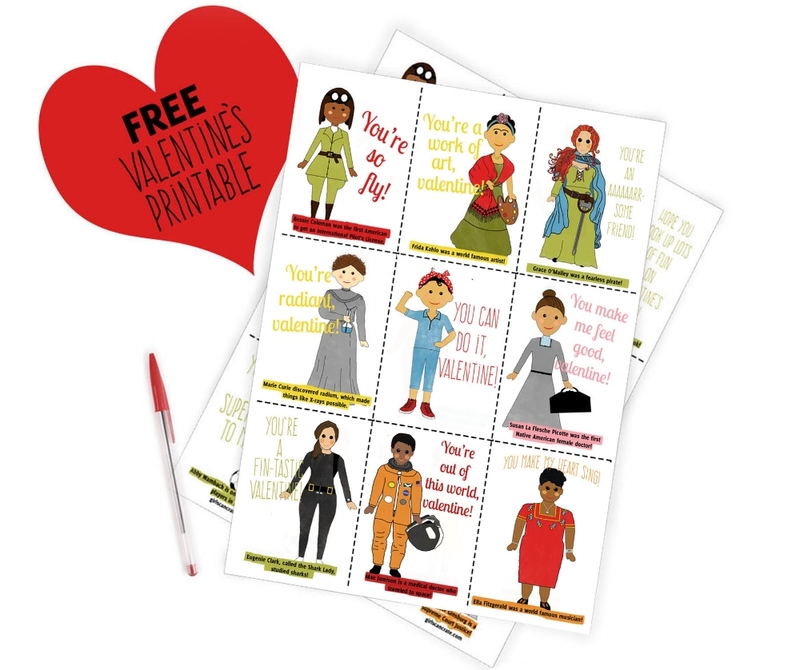 Check out their story HERE and maybe snag some of their famous candies to go with your printable Valentine's (featuring lots of smart ladies)! Snag some Smarties HERE. Dream big in 2018, girl! Encouraging kids to set goals is super important. Goal setting helps little ones develop greater independence and motivation (wouldn't you be more motivated going after something you decided you wanted to accomplish?!). Ring in the new year with a fun goal setting activity and have your little one think all about what they want to do, see, explore, and learn in 2018. Download your GIRLS CAN! 2018 Goal Planner HERE and have a great 2018! Audacious. It's not a dirty word. Most words have more than one meaning. Sometimes, though, that word becomes known more for its negative meaning than its good. Audacious is one of those words. When you hear audacious what first comes to mind? Is it someone who's reckless, disregards rules? Or is it someone who takes bold risks and is daring? As we prepared to introduce little ones to November's featured lady there was only one word that really described her: audacious, as in bold and daring. It's a perfect fit for this month's totally fearless female---Mae Jemison. Let's reclaim that word, shall we?